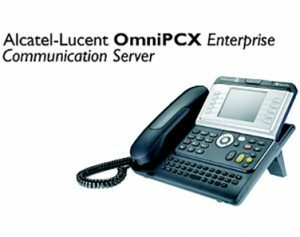 As a key component of the OpenTouch™ Suite, the Alcatel-Lucent OmniPCX Enterprise Communication Server (CS) is a communication software that delivers world-class business telephony features for medium, large and very large sized companies, offering a choice of centralised or decentralised IP telephony solutions to suit your needs. Improves communication: It’s good to talk! Strengthen your business, empower employee, improve productivity and customer interaction by delivering a complete set of telephony services for all staff members in every locations within your organisation. Drives collaboration: Significantly stronger integration with OpenTouch™ multi-party, multimedia and multi-device conversation services. The ability to communicate with everyone, everywhere over everything! Increase operational efficiency: Customer satisfaction, safety and security is optimised with a comprehensive ecosystem of applications that work easily within multiple market verticals; hospitality, healthcare, education, transportation, energy, finance and banking, customer service, state and local government. Enhance business continuity: With an ever improving robust telephony infrastructure which is deployed in hundreds of thousands of enterprises both large and small across the world. Reduces telecom bills: With embedded least cost routing, native VoIP over Wide Area Networks and centralised off-net digital and SIP trunks. Lowers total cost of ownership (TCO): Reducing operational costs through highly scalable software which enables centralised and virtualised deployments, that in turn improve IT agility. Protects IT investment: Advanced features enabled for medium and large-sized companies, without needing dedicated, high-level technical resources and staff with a long term road map for the future. Intuitive telephony experience: Providing a dynamic vocal and graphical guidance, which are available on desk and conference phones, fax devices, wireless DECT or WLAN handsets and software clients. Native off-site mobility: Support allows a single contact number, reverse calls and on-call services, and is open to any mobile along with a Native contact centre application. Native VoIP software clients: Are available on Microsoft PC, Apple Mac, Apple iPad, Apple iPhone. Centrally managed media gateways: Whether Digital or IP-connected cabinets both can provide high-density connectivity for analog, digital phones and trunks. Media gateways also provide media and security services as well as business continuity options. Strong integration: Visual and mobile collaboration software and infrastructure that includes OpenTouch™ conversation and HD video conferencing. Open interfaces: With a large ecosystem of applications leveraging embedded monitoring, routing, location, notification, and hospitality APIs. Flexible device and trunk connectivity: With IP, SIP, digital and analog ports are all natively supported. Flexible communication cost control: Providing multiple options that include least-cost routing, voice free ride over IP or off-net SIP centralisation. Robust and secure telephony infrastructure: Delivering voice quality and routing policy enforcement, a high performance security solution with embedded encryption, plus multiple levels of redundancy incorporating branch office survivability and geographic disaster recovery. Highly flexible architecture: Accommodating centralised, distributed or hybrid networks with smooth transformation paths to centralised IP networks. Works on Alcatel-Lucent LAN/WLAN networks and other vendors’ networks. Delivery on appliances and on VMware virtualised infrastructure. High scalability: Which is deployed in multi-national Fortune 500 companies including comprehensive centralised management and SLA control options.